We aim to differentiate ourselves from other ISPs, by primarily focussing on customers that are in geographic areas not serviced by high speed internet (typically less than 10 Mb/s). We will do this by rolling out our own network, using Gigabit Fibre where we can, then connecting the last hop to customers’ homes and businesses via high speed wireless links. 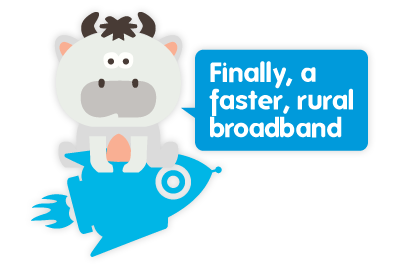 Focussing our attention on customers who have been largely ignored in the race for greater speeds, typically rural customers, but includes any address not served by fibre broadband. Have equal download and upload speeds, a major differentiator from mainstream suppliers. Gigabeam is a trading name of Viridian Communications Ltd.
Our website only collects information submitted through our enquiry forms and is held long enough to either sign up a customer, or establish that service cannot be provided. We hold data about our customers in order to provide our services; this includes name, billing address, service address (if different to billing address), contact details, type of service being offered and technical information to support delivery of internet services through our network. We use personal data to communicate with you, e.g. for the purposes of billing and for customer support; to proactively inform you of service disruption that may impact you; to monitor and protect our network and our business from fraudulent activities; and to let you know about our internet and telephony services. We only use personal data when it is relevant, and restrict the sharing of data to individuals who require it in order for us to conduct our business. We share personal data with payment service providers for the purposes of billing for our services. We share personal data with installation companies to allow them to visit your premises to install equipment. We may share personal data with third party vendors to allow them to provide value-add services, such as premium-replacement after care services. If ownership or control of all or part of our business or assets changes, we may transfer personal data to the new owner. If the owner will use the data for purposes other than those disclosed here, they will take the steps required by law to ensure such purposes remain lawful. We scrutinise the data we collect to ensure that it is relevant to the efficient running of our business and to keep you informed of products and services relevant to your dealings with us. You have the right to ask us to remove your personal data from our systems (except where we are billing you under a contracted service provision) and to ask us to disclose the personal data we hold about you (Subject access request). We aim to respond to subject access requests within four weeks of receipt. We will typically remove personal data within six months of terminating services to you, with the exception of billing data, information regarding a dispute, or where we are required to hold it by law. For enquiries about service that have not been fulfilled, we may hold your information for up to five years for the purposes of determining where there are clusters of enquiries (to help us determine where to roll out service) and to let you know if we can then provide service. You can ask us at any time to remove this data that we hold about you.